Sabine C. Carey is Professor in Political Science at the University of Mannheim. She is also leader of the Working Group Human Rights, Governance and Conflict at the Centre for the Study of Civil War a PRIO. Before she took up her position at the University of Mannheim, she was Associate Professor and Reader at the University of Nottingham. Her research interests focus on conflict processes, human rights violations, regime change and foreign aid. Recent articles have been published in Journal of Conflict Resolution, Journal of Peace Research and Political Research Quarterly and she recently co-authored The Politics of Human Rights (Cambridge University Press, 2010). Click here for her full cv or to go her Chair homepage. Christine Krisch supports the RATE project in all administrative duties. Belén González is a post-doctoral researcher at the Chair for Political Science IV, where she works in the ERC-funded project on Repression and the Escalation of Violence (RATE). Her research focuses on political violence, civilian unrest, and the emergence of non-state actors in conflict. She is particularly interested in causes and patterns of violence against civilians and its dynamics across contexts of political instability. In her dissertation "Structure and Signals in Genocide", she investigated the relationship between armed conflicts, identification and the escalation of violence against civilians. Belén received her PhD from the University of Essex in 2015. Katrin Paula is a PhD Student at the Doctoral Center in Social and Behavioral Science at the University of Mannheim. She holds a Diplom (“Master”) in Sociology from the Ludwig Maximilian University of Munich (2012). She currently works also as a research assistant at the Chair of Methods of Empirical Social Research, where she teaches quantitative methods. Katrin participated at the ICPSR Summer Program in Quantitative Methods of Social Research in 2013 and at the Berkeley Methods Workshop in 2014. Her research interests includepolitical violence, dynamics and diffusion of protests, behavioral economics and quantitative methods, especially causal inference and experimental designs. Christian Gläßel is a PhD Student at the Doctoral Center in Social and Behavioral Science (CDSS) at the University of Mannheim. He holds a Master’s Degree in Political Science from the University of Mannheim (2014) and a Bachelor’s Degree in Political Science and Public Law from the University of Erlangen-Nuremberg (2012). During his studies he completed internships with the Chair of the Committee on Cultural and Media Affairs in the German Bundestag, Prof. Monika Grütters (now Minister of State to the Federal Chancellor), and with the Daimler External Affairs and Public Policy Department. He further studied one year at Trinity College Dublin and took part in the 2013 Methods Summer Programme at The London School of Economics and Political Science (on survey methodology). His main research interests involve actors of political violence, dynamics of protest and regime breakdowns. Larissa Haas provides technical support and designs and implements the environment of our data collection efforts. She is currently completing an MA in Data Science at the University of Mannheim. Anna-Lena Hadbawnik assists with the case studies and interviews, as well as the coding of the Pro-Government Militias Database. Berit Haupt contributes to the coding of the Pro-Government Militias Database. She is a B.A. 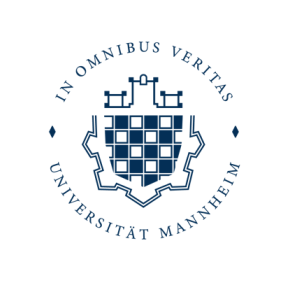 student in Political Science and Economics at the University of Mannheim. She is particularly interested in international relations and European politics. Neil Mitchell is professor of international relations at University College London. Prior to UCL he was professor of politics at the University of Aberdeen and the University of New Mexico. His latest book, Democracy’s Blameless Leaders (NYU Press 2012) asks what can we expect from a political leader in a country like Britain or the United States when its soldiers kill civilians or mistreat prisoners? After Abu Ghraib or Bloody Sunday what happens next? The book argues that accountability is a very severe test for political leaders, despite the democratic folk lore of the buck stopping with them. The book provides an analysis of why these events occur, why leaders behave as they do, and what can be done about it. Do we need better leaders, better institutions, or a better electoral audience? Anita Gohdes is a postdoctoral research fellow at the Belfer Center and the Women and Public Policy Program in the Harvard Kennedy School. Previously she worked as a postdoctoral researcher at RATE and continues to collaborate with the PI on the link between civil liberties and political violence. She received her PhD in 2014, supervised by Prof. Carey, from the University of Mannheim and was awarded the German Dissertation Prize for the Social Sciences. Her dissertation theoretically and empirically investigated the way in which governments use digital communication technology to inform their strategies of violent repression. Since 2009, Anita has been working for the Human Rights Data Analysis Group as a Field Consultant. Her publications appear in the Journal of Conflict Resolution, Journal of Peace Research, Journal of Human Rights, Significance, and Oxford University Press. Adam Scharpf is a Post-doctoral research at the GIGA. He received his PhD from the Graduate School of Economic and Social Sciences, University of Mannheim. He specializes in the study of political violence and repression. Adam is particularly interested in understanding and predicting violent behavior of state and non-state armed organizations using quantitative methods. In his dissertation, he explores the organizational causes of state repression during counterinsurgency campaigns, both on the macro and on the micro level. He holds a Master’s degree in Politics and Public Administration (2012) and a Bachelor’s degree in Political and Administrative Science (2009), both from the University of Konstanz. During his graduate studies Adam spent a year studying at the University of Essex and has served to the Essex Summer School of Social Science Data Analysis as a teaching assistant. Jürgen Brandsch is a researcher at the Chair for Political Science IV, where he works in the ERC-funded project on Repression and the Escalation of Violence (RATE). Within this project he is mainly responsible for conducting research on the perceptions of security in Georgia. Jürgen's general research interests focus on conflict dynamics, violence against civilians, terrorism and ethic conflicts. Before joining RATE Jürgen undertook his doctoral studies at the University of St Andrews and worked for several years for the Deutsche Gesellschaft für Internationale Zusammenarbeit (GIZ), primarily in the field of Peace and Security. Jürgen also holds a Diplom in Economics (University of Heidelberg) and Magister Artium in Political Science (University of Münster).